This new Hubble image is one of the most comprehensive pictures ever assembled of the evolving Universe. Astronomers using NASA’s Hubble Space Telescope have assembled a comprehensive picture of the evolving universe – among the most colorful deep space images ever captured by the 24-year-old telescope. Researchers say the image, in new study called the Ultraviolet Coverage of the Hubble Ultra Deep Field, provides the missing link in star formation. 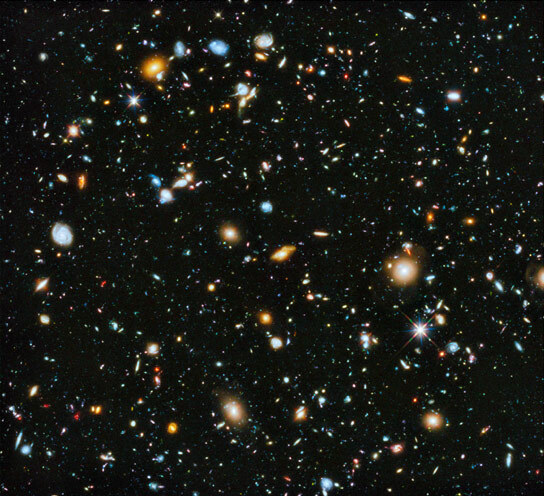 The Hubble Ultra Deep Field 2014 image is a composite of separate exposures taken in 2003 to 2012 with Hubble’s Advanced Camera for Surveys and Wide Field Camera 3. 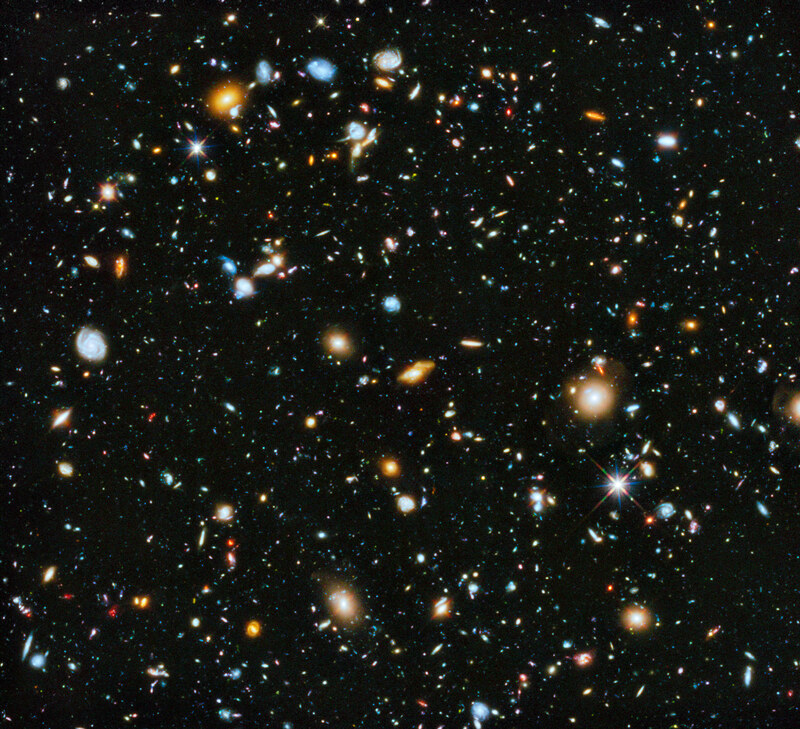 Astronomers previously studied the Hubble Ultra Deep Field (HUDF) in visible and near-infrared light in a series of images captured from 2003 to 2009. The HUDF shows a small section of space in the southern-hemisphere constellation Fornax. Now, using ultraviolet light, astronomers have combined the full range of colors available to Hubble, stretching all the way from ultraviolet to near-infrared light. The resulting image — made from 841 orbits of telescope viewing time — contains approximately 10,000 galaxies, extending back in time to within a few hundred million years of the big bang. Prior to the Ultraviolet Coverage of the Hubble Ultra Deep Field study of the universe, astronomers were in a curious position. Missions such as NASA’s Galaxy Evolution Explorer (GALEX) observatory, which operated from 2003 to 2013, provided significant knowledge of star formation in nearby galaxies. Using Hubble’s near-infrared capability, researchers also studied star birth in the most distant galaxies, which appear to us in their most primitive stages due to the significant amount of time required for the light of distant stars to travel into a visible range. But for the period in between, when most of the stars in the universe were born — a distance extending from about 5 to 10 billion light-years — they did not have enough data. Ultraviolet light comes from the hottest, largest and youngest stars. By observing at these wavelengths, researchers get a direct look at which galaxies are forming stars and where the stars are forming within those galaxies. Studying the ultraviolet images of galaxies in this intermediate time period enables astronomers to understand how galaxies grew in size by forming small collections of very hot stars. Because Earth’s atmosphere filters most ultraviolet light, this work can only be accomplished with a space-based telescope. Be the first to comment on "Hubble Reveals a Comprehensive Picture of the Evolving Universe"